Everything you need to manage Projects & Resources from a single, intuitive and automated platform. Polydone’s Kanban Board is unique in tracking the progress of every project, and in enabling you to use filters to find exactly the tasks you’re looking for. Who’s busy? Who’s not? Who’s working on what and when? Polydone answers all these questions so you can distribute workload evenly and see which client and projects time and money is being spent on. Jumpstart your projects with best practice templates that you can save and reuse across the company. Stay compliant and make sure nothing falls through the cracks with well-defined steps and tasks. 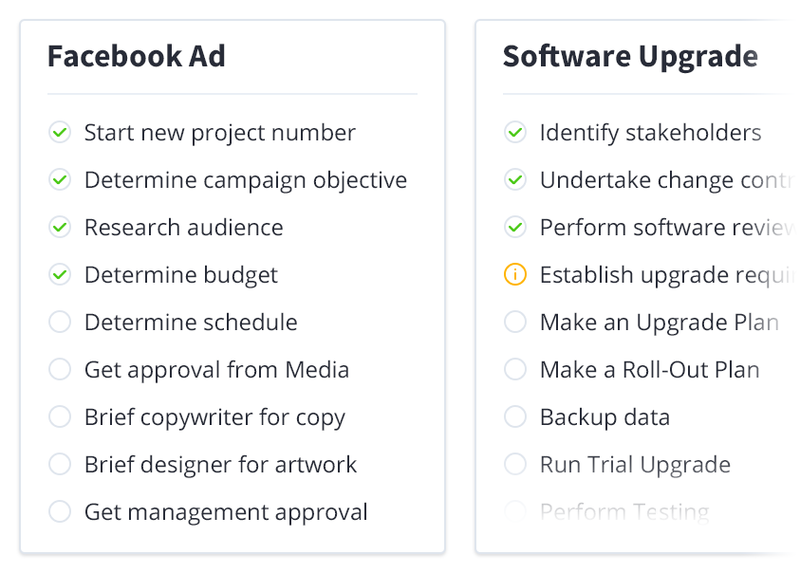 With Sprints, you can break down monolithic projects into achievable milestones, so you can focus on what’s important now while still monitoring overall progress. Schedule tasks on a calendar to plan the week or month ahead, see clearly who's working on what and when, predict when tasks and projects will be completed. No need to create them. 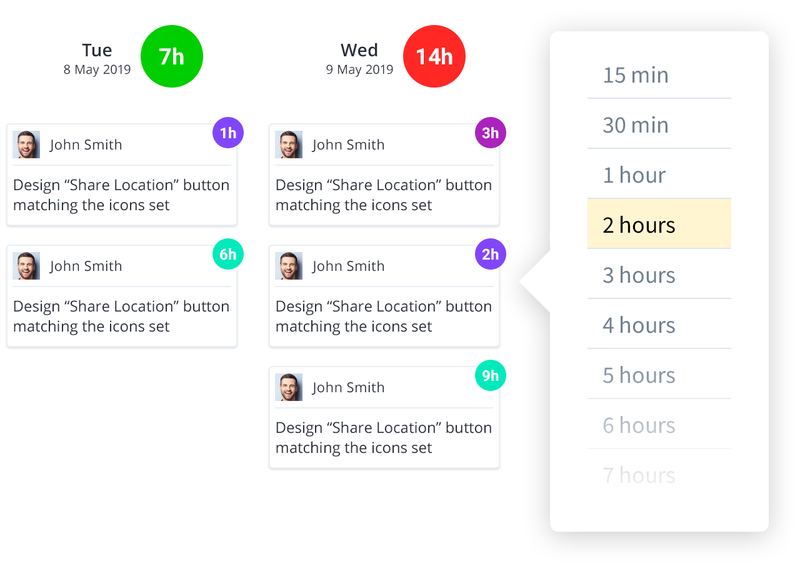 Polydone generates timesheets automatically in real time as tasks are completed, so no-one has to try to remember what they worked on last week. How often do projects overrun? Too often. The reason is simple: humans find it hard to estimate large tasks accurately. We’re much better at predicting how long smaller tasks will take. That’s why the longest task you can create in Polydone is one day. By breaking projects down into small pieces, Polydone generates more accurate time estimates. And because it also knows everyone’s availability, Polydone can allocate tasks realistically, making your estimate even more accurate. Through its innovative and intuitive platform, Polydone is radically improving how audit projects are managed at Deloitte. Is there anything more frustrating than not knowing who’s doing what? Without transparency throughout a project, some people get overloaded while others sit expensively idle. And handovers can be a nightmare. It’s a recipe for conflict and frustration. 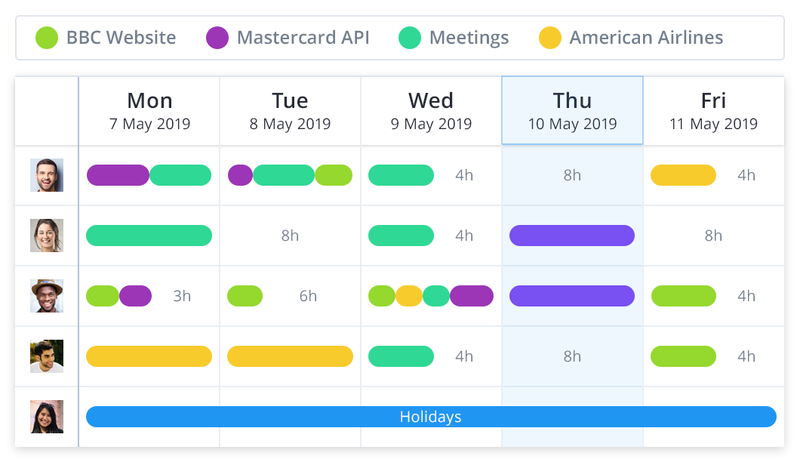 Polydone shows who’s been assigned which tasks and for when, making everyone’s availability clearly visible. When everyone knows what everyone else is doing, projects run smoothly. Transparent teams are happy teams. And happy teams are productive teams. Don’t reinvent the wheel. So many new projects start from scratch, even when they’re similar to the ones before. It’s hugely time-consuming. And those earlier projects can be valuable: full of useful knowledge that’s easily lost. With Polydone, you turn projects into reusable templates everyone can use. It saves you tons of time and makes estimates more accurate. Plus, if compliance is important, templates standardise your projects and create a clear audit trail. © 2016 - 2019 Polydone Limited. All Rights Reserved.